Dogs are everywhere! We have approximately 5.9 million dogs in Canada and about 1 in 3 of us owns a dog. Dogs go just about any place we go from assistance dogs on the bus to Fido romping at the park. That makes your chances of running into a dog on any given day pretty good. Dogs are in our homes, in the homes of friends and family, in our parks, on the street, in our airports and cafes. In fact, depending on where you live, it would be hard to go a day without seeing one. Unfortunately, apart from a dog wagging his tail (not always a sign of friendliness) or growling (not always a sign of aggression), few people can read dogs well without a bit of help, especially the more subtle signals like the early warning signs of fear and arousal. Even experienced dog lovers can miss these subtle signals unless they are actively taught to look for them. This is unfortunate because dogs are also in our headlines: “Dog bite came out of nowhere!”. As dog trainers, we hear over and over that the bite came out of nowhere, yet when we point out the early warning signs in their dogs, time and time again people can see them! What is lacking isn’t some magical Dr. Doolittle ability but just a little information. People don’t see these warning signs because they don’t know what to look for or they don’t understand the significance of what they are seeing. However, once you start to see these signals, they practically jump out at you. Luckily in addition to seminars offered by trainers, an easily accessible website is now available to get us all saying “I speak dog”. Step 1: What is the dog doing? Step 2: What is the dog’s body language? Step 3: What is going on (the context)? Take growling as an example: dogs usually growl when they are upset and want you to back away. However, dogs also growl in play. So, the blanket statement that dogs only growl when they are being aggressive can lead to confusion for pet owners. It is important to look at the context in which any behavior is occurring and look at the other signals your dog is giving you, not just focus on one. If you are still unsure, please err on the side of caution with a growl and consult a trainer for clarification. This is the obvious target demographic for learning about canine body language. Owners who can accurately read their dog’s body language are less likely to put their dogs in dangerous or uncomfortable situations. 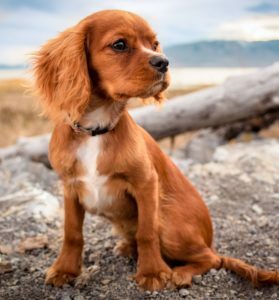 When introducing their puppy or dog to a new situation or training task, they can also more accurately gauge their dog’s readiness to proceed to the next level. This is especially important when socializing young puppies or introducing shy dogs to the world. Speaking dog as a second language can also help tell if your dog is having a good time at the dog park or is about to get into a dangerous situation. Understanding how your dog is feeling also increases empathy with your canine pal and avoids conflict. If we can tell when our dog is scared, in pain, or having a hard time, we are less likely to become punitive to our dogs for perceived slights. Finally, it can avoid the dreaded bite that “came out of nowhere”. Children are at a much higher risk of dog bites and when they are bitten, their size makes them disproportionately more likely to be bitten in the face. Kids need to know how to act around dogs, which dogs are safe to pet and what to do if they meet an unfriendly dog. Parents also need to be able to recognize potential risky situations for their children. I’ve often heard a parent try to encourage a child to keep pestering a dog who was trying to get away or convince their scared child to approach a strange dog who looked uncomfortable. Both of these situations can put your child at risk! You will find dogs just about everywhere you will find people meaning first responders are often the first on a scene with a stressed-out dog. Generally when a paramedic, police officer or fire fighter is called, the situation is already quite anxiety provoking for dogs and humans alike. Car crashes, medical emergencies, and domestic disturbances are all unfamiliar stressful situations for dogs with loud noises, family members acting bizarrely and strange scary new people arriving. To make matters worse, the uniforms first responders wear often makes them intimidating and scary to dogs. Waiting for animal control is usually the best practice when time is not critical but sometimes first responders don’t have the luxury of time. Dogs who must be killed to help their owners or ensure public safety are PR nightmares and can negatively impact everyone in the situation. There may be cases where this unfortunately cannot be avoided but knowing how to de-escalate a situation with a dog can have dramatic effects. A little training can go a long way! It can save a dog’s life, avoid a nasty bite or PR disaster, and help reunite a pet with their owner. The scourge of dogs everywhere! They wear strange uniforms that stand out, are full of unfamiliar smells, and step on and off other people’s and by extension dog’s property regularly. All of these things put them at a much higher risk of a dog bite. Carrying treats and getting to know dogs on their routes can help but so can reading a dog’s body language and responding accordingly. Did you ever hear the owner tell you not to worry about the intimidating barking dog on your way into a house? He’d never bite is sometimes said right before an incident. Unfortunately, we can’t always tell if a bite will happen today but we can learn to tell if a dog is happy or upset. When a dog is upset by your presence, he is more likely to bite. It is that simple. Get to know the difference between a happy or upset dog. You might be surprised but many pet professionals are not that good at reading dog’s subtle fear signals or have learned to ignore them to get the job done. If they have enough experience, they may even be able to ID a dangerous situation and keep themselves safe but without training they often can’t identify exactly what they saw or teach others to do the same. As we move towards a more humane and fear free movement in the pet industry, it behooves us all to have a solid understanding of dog behavior. Knowledge can help alleviate fear. When you understand something, you tend to fear it less. Knowing which dogs to take extra precautions with and which you are safe to walk by could decrease your stress levels and make walking the streets less intimidating. Dealing with fearful dogs every day has made me enormously empathetic to anyone dealing with a dog phobia. Most owners however don’t understand how anyone could be afraid of their goofy fur ball. Knowing the subtleties of dog body language might help put you in control in these situations. As a dog trainer, I may be a little biased here but I firmly believe that everyone should have at least a basic understanding about whether a dog is happy or upset. No matter who you are, you will come into contact with a dog at some point. Learning the basics of dog language reduces your risk of a bite and can help protect those around you. It might be nice to know if that loose dog approaching you is one you should avoid or help find his owner. This spaniel looks worried and tense. Note the closed mouth, furrowed brow and tight body. 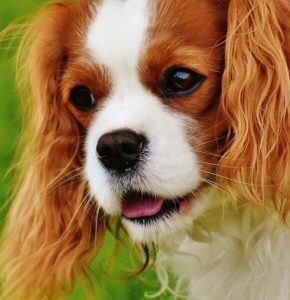 This spaniel appears happier with a more relaxed look including an open mouth and no tension in the face. The case for learning how to speak dog can be made on many levels from understanding normal dog behavior to building greater empathy for dogs. However, the most important from a public safety standpoint is that it can prevent a bite! While most dog bites are not life threatening, they can still be upsetting and scary. Despite what city officials may want you to believe, the banning of certain breeds won’t guarantee your safety. Good animal control can help but without a little education, people will still be at risk. It’s time to demand more educational campaigns from our elected officials. Until then, we will all have to choose to educate ourselves. Get a head start by heading over to www.ispeakdog.com. Dogs have for the most part been the ones bridging the divide for the last thousands of years, as the bigger brained species maybe it is time we stepped up to the plate and learned more about these animals. We sure have a lot of compelling reasons to do so and who knows, you may start to enjoy feeling like an amateur Jane Goodall next time you are at the park watching a dog run past or in your living room observing your dog at play. This blog post was written in honor of I speak dog week. Bravo Fido fully supports this wonderful initiative. If everyone learned to speak just a little dog, we think the world would be a little safer for dogs and humans. 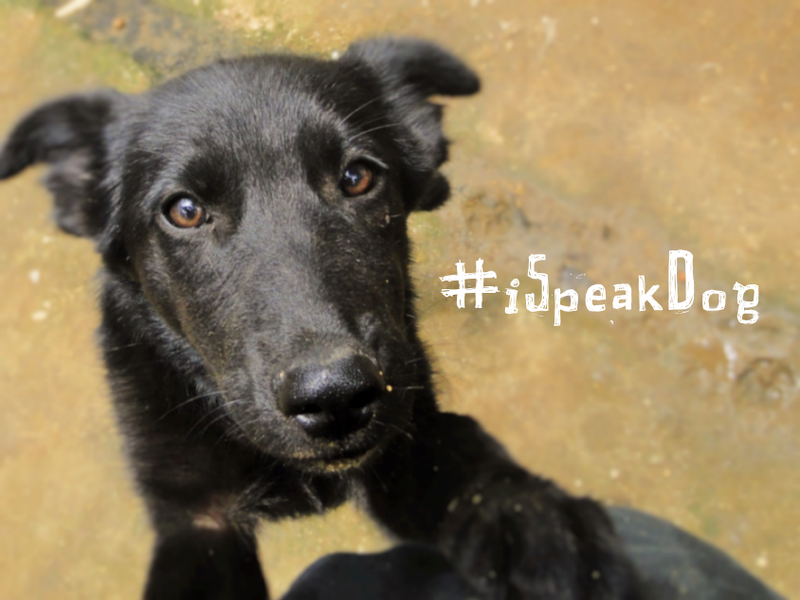 Please visit www.ispeakdog.org for more information on how you can learn to speak dog. Bravo Fido includes information on dog body language in all of our group classes and presents seminars on dog bite safety and canine body language. For the basics of dog bite safety, please visit www.doggonesafe.com .